Mortgages are complex, but at Hillcrest Bank we’re here to help. 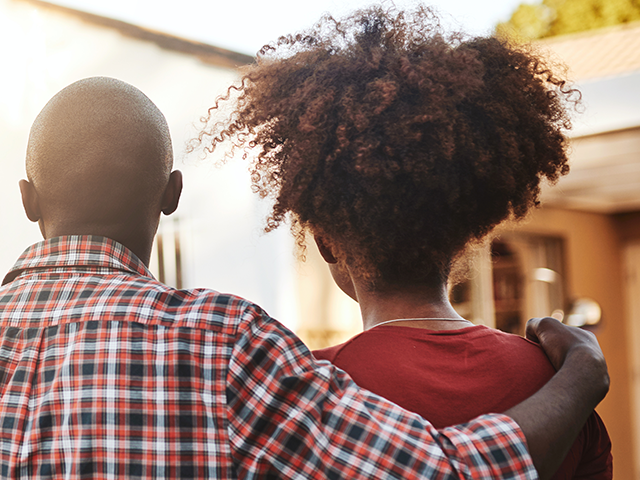 Whether you’re buying your first home, refinancing your current home, or buying your dream home, we’ll walk you through the process every step of the way. Our Mortgage Bankers are passionate about helping families live a better life! And, along with their expertise, we’ve managed to simplify the mortgage process by tailoring it to fit your needs, and cutting down on approval time. So, what exactly goes on during the mortgage lending process? Go ahead and take a look at what you can expect. You start the process by choosing one of the many convenient ways to apply. Want to stop by our bank and apply in person? We’d love to see you. Or, maybe you’d prefer staying at home and applying online from the comfort of your living room? We can help with that, too! Want to speak with an expert? Find a Mortgage Banker, today, by location or by last name. In order to provide you with the best financial benefits available, we get to know your unique situation and financial goals. Our Mortgage Bankers will request specific documentation and will work with you to complete a loan application. Upon review, the Mortgage Banker can lock in your rate with your permission. The third step in the process is what we call Processing. A Processor is assigned to your loan and their job is to prepare the best possible loan package for our underwriters and clarify any details related to your file. It’s possible that they ask for additional documentation or have questions based on the information provided. We’ll also order any additional services needed to underwrite your loan; like an appraisal, title policy, or any additional items required for the loan program chosen. Our Mortgage Bankers are underwriting professionals, and will carefully go through all documents you submitted and verify the information is accurate and up-to-date. It’s their job to make sure all the necessary information is included and every i is dotted and t is crossed. You might be required to submit more documentation, depending on your specific loan requirement. Before you know it, we’re scheduling a closing date! Your trusted team of Mortgage Bankers will schedule a date and time based off of the purchase contract. And, if you’re refinancing, you get to choose the location. Name it, and we’ll be there. During the closing, you will sign the final loan documents and then funding will soon be available to you. Whatever your goal was … buying your dream home, retiring sooner, consolidating debt … we celebrate the fact that together, we reached it! Congratulations! Want to learn more about our Home Loan Options? We have many options available if you’re looking to buy. Or, check out our options if you’re refinancing. From purchasing and financing land and a recent home the process was efficient and painless. Customer service in the banking center is always welcoming and friendly – with the added bonus of fresh popcorn.